There is always a lot going on in Barcelona. And the summer months are no exception. From June 28 till July 7, Barcelona Festival of Song is on. 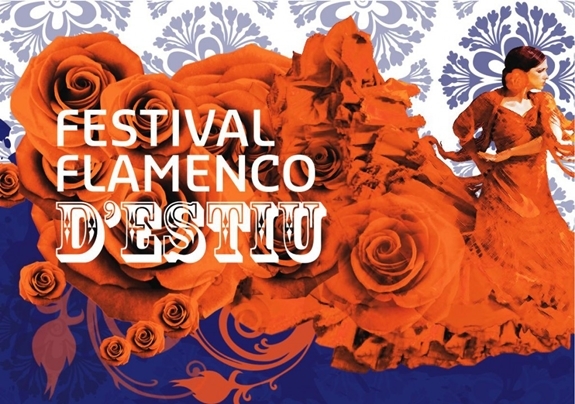 This is a festival dedicated to Latin American and Spanish vocal repertoire. Best of all, all the concerts are of free entrance! Check out the program here. 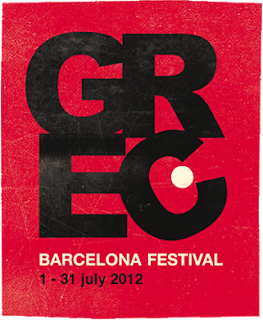 From today and all through July the 35th edition of the Festival Grec is on in Barcelona. We hope you will find the festival to be a door that opens onto the world of the performing arts, theatre, dance, music and the circus. A rich and complex cultural world in which all can find a place to dwell. Looking at the calendar, every single day has a wide selection of shows, so if you are in Barcelona in July, check out the program for Festival Grec! Flamenco is an artform that is just so Spanish and it fascinates me. I have seen a couple shows and I love to observe and get sucked into the drama and passion this dance encompasses. It's hard to explain, but I don't really understand it. There is so much emotion, feelings, pain and passion in the dancing, the clapping and the singing, but although I can't really identify with it, I love observing it. It is so foreign to me, yet so enchanting. Have you ever seen a Flamenco show and what's your thoughts? Oh you have so whetted my appetite! I would love to go to all of those but later this week we set off on holiday and so I think it isn't possilbe. But I hope you get to all of these and have a great time. I have never seen Flamenco - of course it isn't traditional here so there isn't so much opportunity but in Barcelona of course everything is available. I would love to go. If it feels alien at the beginning, I would advise, just breathe and relax and listen from your heart. Oh I bet all of those shows and festivals will be so fun! I love festivals in the summer. I've never seen Flamenco, but I think I'd love it. It'd probably make me want to go shopping for some of those dresses!! Hehe I know what you mean :D A friend of mine actually did it. She dressed up in a red/black dotted flamenco dress, and of course with a fan, outside an ancient Spanish bar (you know, the typical one with the hams hanging from the rood and dusty old bottles on shelves covering the walls) and took several pictures. She looked fabulous! !